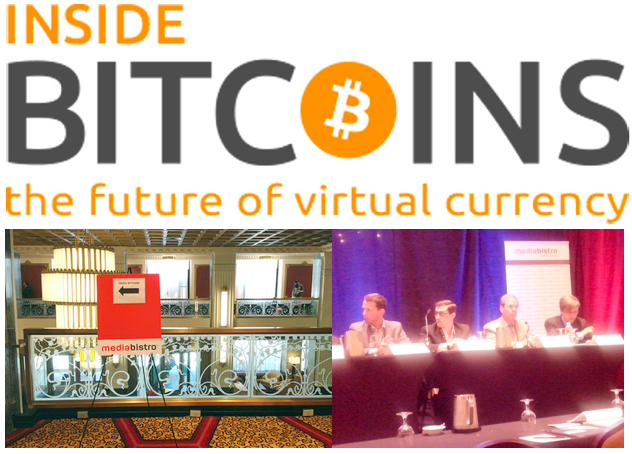 Bitcoin Magazine was proud to serve as a sponsor for the 2013 Inside Bitcoins Conference in New York City on Tuesday, July 30 at the Hotel New Yorker. Mediabistro ran the conference and drew in several hundred Bitcoin Entrepreneurs and Venture Capitalists. 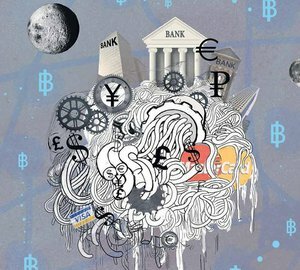 Taking place in the financial and exchange hub of the world, creative minds came together on Tuesday to discuss the tremendous potential of Bitcoin and the continual shift to digital currencies. 23 year old BitInstant CEO, Charlie Shrem, opened up the morning to highlight that Bitcoin is, “cash with wings.” Schrem started BitInstant with an initial investment from his mother of 10,000 USD. Now Shrem has an opportunity to attract investors a bit farther away from home. Jaron Lukasiewicz, CEO of Coinsetter, followed to contrast the promise of Bitcoin with the challenges posed by the currently outdated financial regulatory structure. With previous experience in startup ticketing, Lukasiewicz highlighted that Bitcoin is the dominant virtual currency and through his new leveraged forex trading platform, Coinsetter, hopes to facilitate expedient money transfer. With high hopes for a dominant cryptocurrency, Lukasiewicz stands behind Bitcoin and hopes to bring greater liquidity into the Bitcoin system. Manu Sporny, founder and CEO of Digital Bazaar, followed to share of his W3C Web Payments group’s work to analyze a new API for performing payments via web browsers and other web based devices. Manu has continued to forge the trail in creating open standards and open technology to integrate payments into the core architecture of the web. Three panel discussions followed on Gold 2.0. The VC Take Bitcoin, Bitcoin and Freedom of Speech, and Legal and Regulatory Issues Facing Virtual Currency Businesses. Panelists discussed the shift in focus from gold to Bitcoin and the ability to utilize the currency to donate to journalists, publishers, political groups and whistleblowers freely. As a, “censorship resistant currency,” according to John Perry Barlow of the Freedom of Press Foundation, Bitcoin promotes and acts as a form of free speech. The final panel including James White, Director of Tax Issues for the US Government Accountability Office, touched upon financial regulation and any boundaries to heed to when developing bitcoin software. The day concluded with insight from BitPay Co-Founder and CEO, Tony Gallippi, ZipZap, Inc. 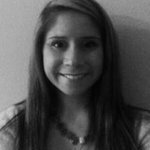 Founder and CEO, Alan Safahi, DirectPayNet President, Maria Sparagis, Let’s Talk Bitcoin! Editor-in-Chief, Adam B. Levine, and Spotify Head of Special Projects, Shakil Khan and American Banker Executive Editor, Marc Hochstein. The next Inside Bitcoins Conference is already scheduled to take place in Las Vegas on December 10-11. Bitcoin Magazine truly appreciated those of you who took time during the conference to stop by our table and say hello. We look forward to meeting you at the next conference!